Contact Us with Comments or Questions | Dotcom Computers Inc. Sales & Use Tax Reg. Here at Dotcom Computers we love our customers and are always eager to help. If you have any questions or inquiries regarding our products or policies, please feel free to contact us. Please be as specific as possible and include your order number if possible. Getting rid of your equipment? 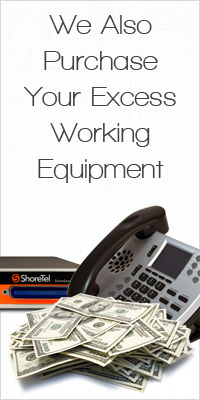 Switching systems, or getting rid of your excess telecom/networking equipment? We are always interested in buying telecom and networking equipment as long as it's in working order. Simply contact us and be as specific as possible by including brand names, models, condition, and quantity. Any photos will certainly be a bonus and help the process move along faster.